Optical acrylic light guide plate engraving of 2D graphics with a 3D visual impact. Smart Touch control with 7 colours or 8 settings: red, green, blue, yellow, cyan, purple, white and all 7 colours automatically changing. Safe to touch, does not overheat. 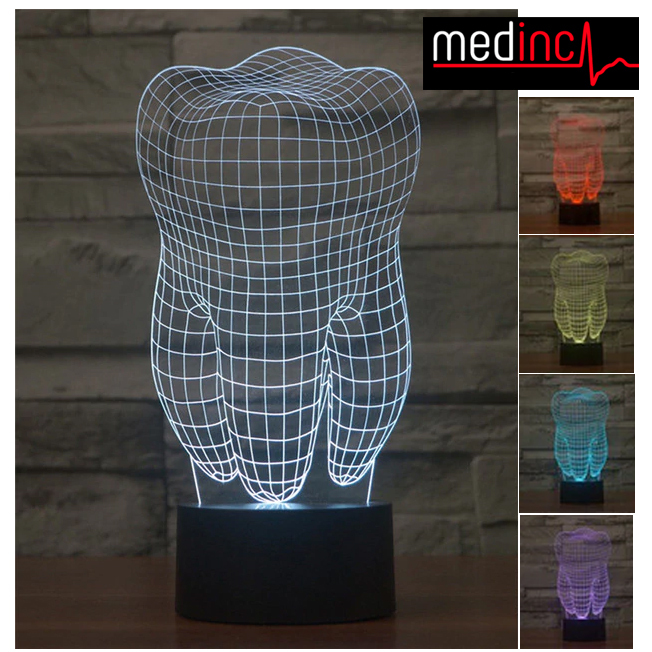 Medinc’s 3D Tooth Desk Light is a fun addition to any desk or bedroom. The LED’s light up a thin perspex sheet that has a 3D Tooth image. Our 3D Tooth Desk Light is powered through a USB cable (USB 2.0 cable provided) which can be plugged into any USB port. You can also use most mobile phone charger plugs to connect this to the mains. 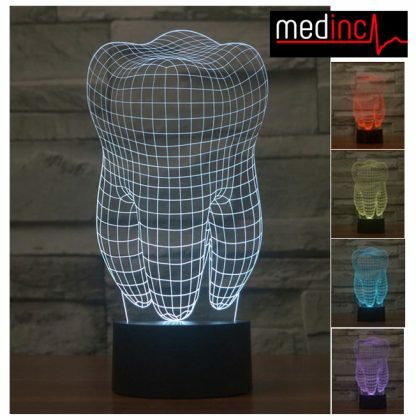 The 3D Tooth Desk Light also has a number of settings to change the colour to change the ambience in your room. This desk light emits a soft glow that is more akin to a night light than a full desk lamp. 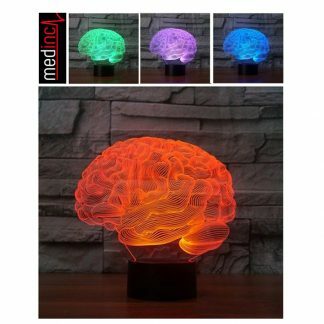 We would not be recommended to light a desk for reading at night. Although this item is designed to look like a tooth we must emphasise that this product is not a real tooth. Anyone considering using this item to eat food or replace existing teeth should seek medical assistance. 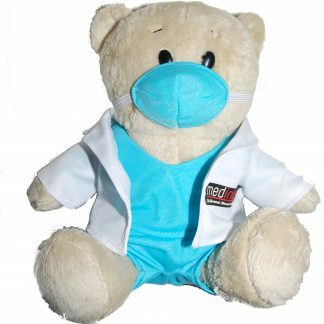 Alternatively although we cannot legally say this item will make you better at dentistry having a large glowing tooth in your office sure shows a commitment to the study of teeth.